Six Flags America is located just 15 minutes east of Washington, DC. Check out the DEALS tab for fantastic savings (under Attractions-Maryland). 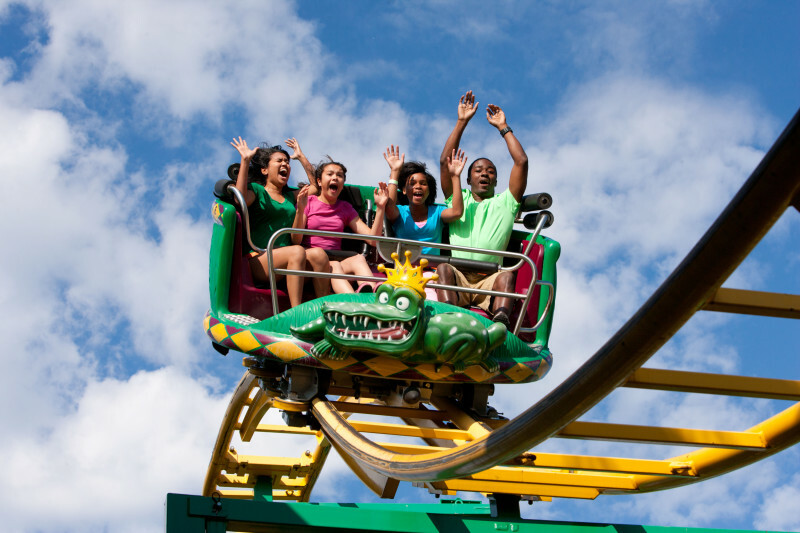 This theme park has more than 100 exciting rides, shows and attractions plus Maryland's largest water park, Hurricane Harbor (included with park admission). The park boasts ten fast and furious roller coasters including the phenomenal flying roller coaster BATWING, and the 200-foot tall hyper-coaster SUPERMAN: Ride of Steel. Adding to the fun are numerous thrill rides, shows and two children's areas with rides just for the little ones. Splashing good times can be found in Hurricane Harbor water park (open seasonally), including one of the world's largest wave pools, numerous water slides and more! Fall & Winter Events: FrightFest - weekends in Mid-Sept thru October with Thrills by Day with trick-or-treating, hay rides and Halloween shows for kids! Fright by Night with Haunted Houses, Halloween shows, rides and coasters in the dark after 6pm. Holiday in the Park, open Thanksgiving weekend through the end of the year, is a dazzling winter spectacle featuring more than a million glittering lights, indoor shows & holiday entertainment, delicious seasonal treats, visits with Santa, and many popular theme park rides. Combine holiday traditions with a completely new experience that is uniquely Six Flags.